Craving a warm, chewy, chocolatey cookie! 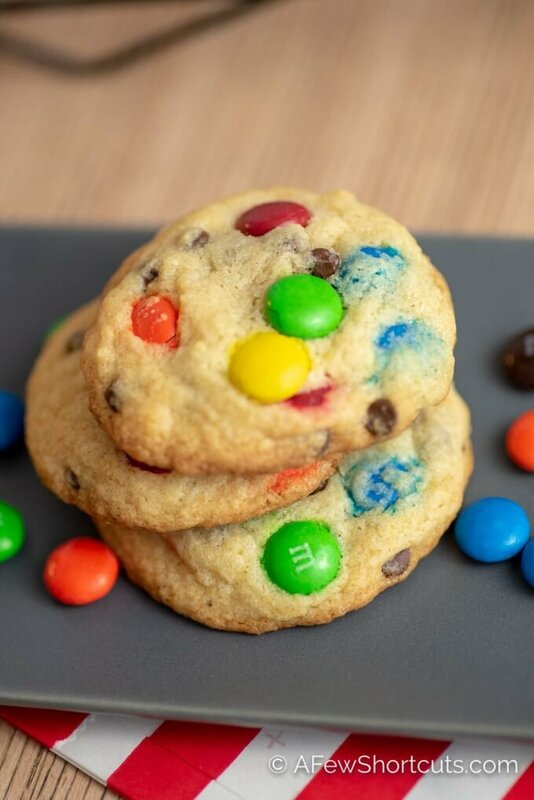 You need The Best Chocolate Chip M&M Cookies Recipe! 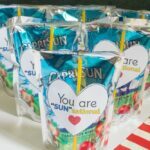 Easy to make and it’s truly the best! Some days you just need a warm, chewy, delicious cookie to end the day. Sometimes you need it in the middle of the day just as a pick me up, and occationally I am guily of having one for breakfast. Adulting at it’s finest. 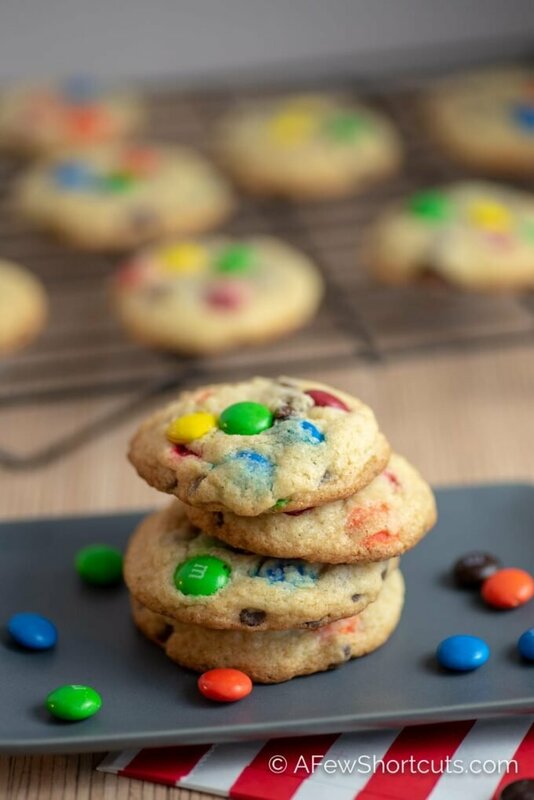 Any time of day you need The Best Chocolate Chip M&M Cookies this recipe is amazing! M&M’s are a fun addition because they add that pop of color, crunch, and a little extra chocolate to an already delicious cookie. You can make these cookies for a hoiday or seasonal by using the special seasonal M&M bags. 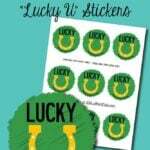 I have even made them a little extra by using the Peanut M&M’s! The dough only takes about 10 – 15 minutes to make. 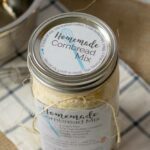 I love to make a batch of dough and keep it in an airtight container in the fridge, or drop it by rounded tablespoonfuls (Love love love using a cookie scoop for these) on a baking sheet and freeze he dough balls. Once frozen, put them in an airtight container. Bake following the recipe when ready to enjoy. Changing recipes to make them gluten free can sometimes be difficult. This recipe works beautifully. I had the best results using a gluten free baking mix in place of the flour. I used Aldi brand, but any brand of Gluten Free Baking Mix should work. The M&M’s are gluten free. As always check all of your food labels beause brands can change their formulations. Need more gluten free recipes? Check out our Gluten Free Recipe Database (click here). 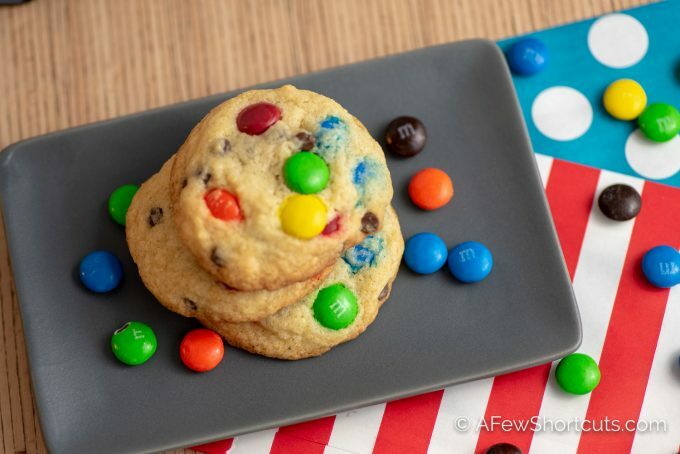 Find a little win in your life to celebrate with these Chocolate Chip M&M Cookies! Celebrate you with a tasty, melt in your mouth cookie! Craving a warm, chewy, chocolatey cookie! 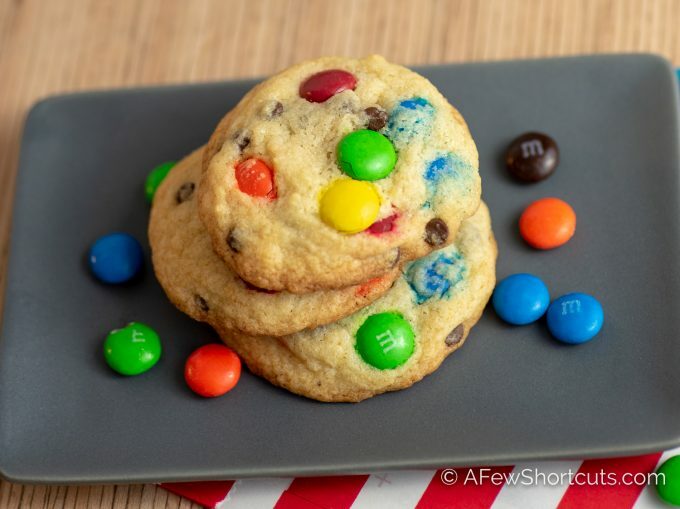 You need The Best Chocolate Chip M&M Cookies Recipe! 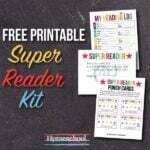 Easy to make and it's truly the best! 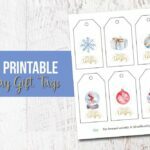 Preheat oven to 350 degrees and line your baking sheet with parchment paper or a silicone mat. In a large bowl or mixer, cream together butter and sugars for atleast 1 - 2 minutes. Beat in the egg and vanilla. Mix until combined. Add in your dry ingredients; flour, baking soda, and salt. Mix unti dough forms. 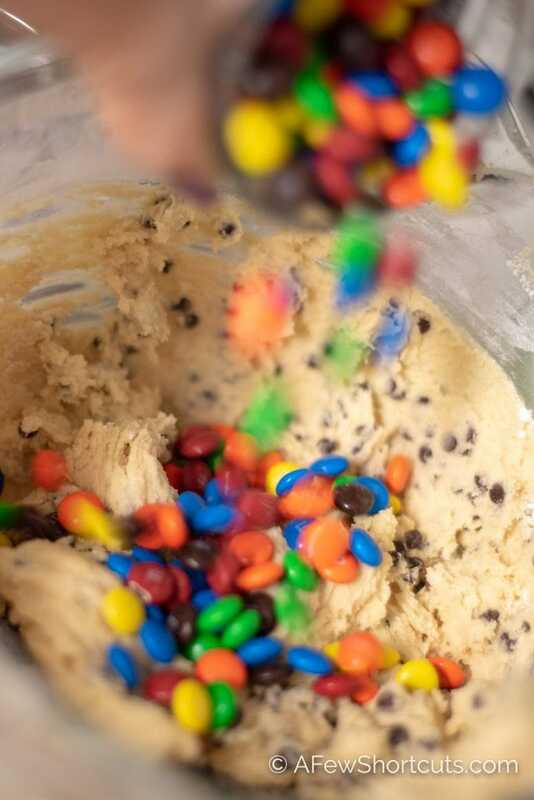 Fold in the chocolate chips and the M&M candies. Drop by rounded tablespoonfuls or using a cookie scoop place dough at-least 2 inches apart on your lined cookie sheet. Top each cookie with a couple extra M&M's (if desired). Bake for 10 minutes or until the edges of your cookie start to turn golden brown. Don't overbake or you will loose some of the chewyness. For a gluten free cookie substitute a gluten free flour mix. Prepare the dough and refridgerate as is, or drop in balls on a baking sheet an freeze. Once frozen store in an airtight container. When ready to enjoy place frozen dough on a cookie sheet and follow the original baking instructions. You can bake these cookies at 375 F. The result will be a chewyier cookie. The outside will brown slighty faster. So, if you love a super chewy cookie...this is for you!